Guardian of the Farm Cigars - Buy Premium Cigars Online From 2 Guys Cigars . Guardian of the Farm is a collaboration that uses some of the best tobacco in the world grown by one one of the largest growers of tobacco in Nicaragua, Aganorsa. The joint project comes to us from the son of the Eduardo Fernandez the owner of Aganorsa, Max Fernandez and the owner of Warped Cigars, Kyle Gellis. 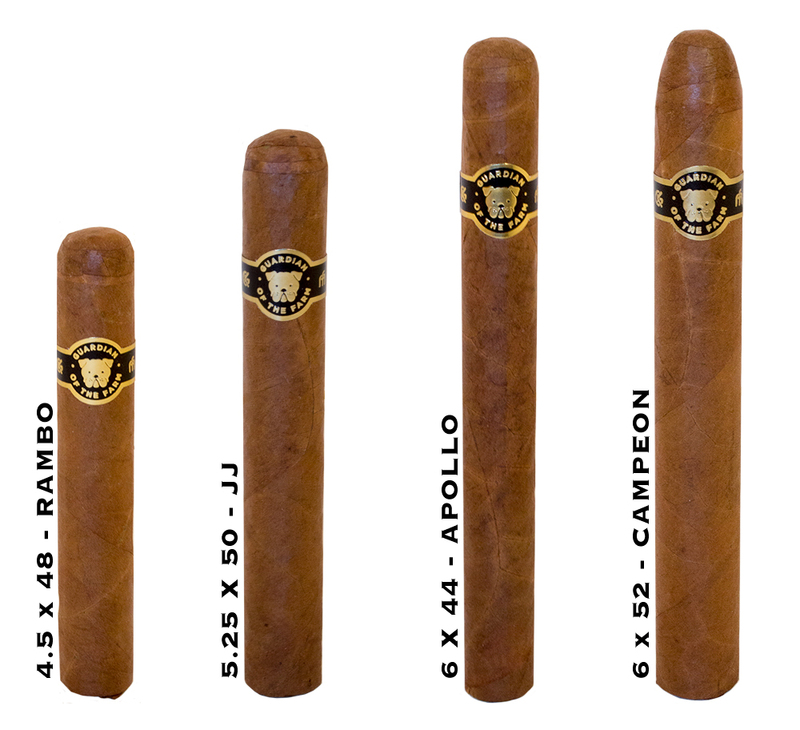 The name of the cigar comes from their dogs, the Guardians of the Farm and each size is named for their faithful pets. It's a medium to full cigar that offers up notes of nuts with nuances of nutmeg and almonds and the slightest hint of cinnamon on the finish. Just like dog is man's best friend, this stick will have your loyalty as well.